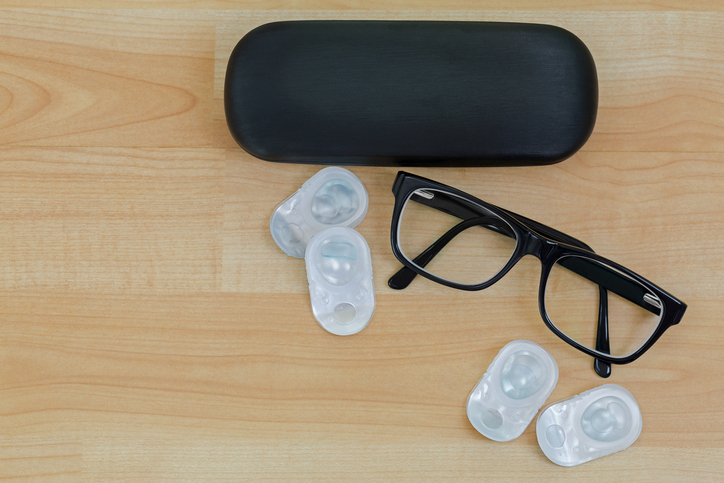 Are you excited to make the switch to contact lenses so that you don’t need to wear glasses every day? Vision correction lenses come in all shapes and sizes, which is why it is important that you consult with an experienced optometrist to choose the best solutions for your eyes. Different types of contact lenses require unique care and treatment. If you choose lenses that are worn multiple times and stored in a case at night, then you need to be willing to commit to a regular routine at night and in the morning. Are you a person who is consistent with brushing your teeth and washing your face before bed? Then it is easy to add contact lens care to your routine. But, if you have a hard time managing a bathroom routine before bed, then you might choose disposable lenses instead. Certain eye conditions require specialty lenses. For example, if you have astigmatism or keratoconus, then your eye doctor might recommend specialty lenses. The right fit and contact lens materials can optimize your vision despite the irregular shape of your eyes. Additionally, bifocal lenses are available for people over the age of 40 who need multifocal solutions to eliminate the need for reading glasses. If you suffer from allergies or dry eyes, then it is important that you disclose this information to your eye doctor. Certain types of lenses can be uncomfortable when the eyes are dry. But, there are solutions to ensure your comfort. For example, you might limit the amount of time that the lenses are worn. Or, choose designs that hold a layer of tears against the surface of the eye to reduce the dryness. We are here to help you choose the best contact lenses for your needs. If you would like more information, then you need to schedule an exam with our team. Call our Temecula office at (951) 302-1331 or our Murrieta office at (951) 600-9226. Closed Mon from 12:00-2:00 for team development.